What does the [email protected] look like for women? 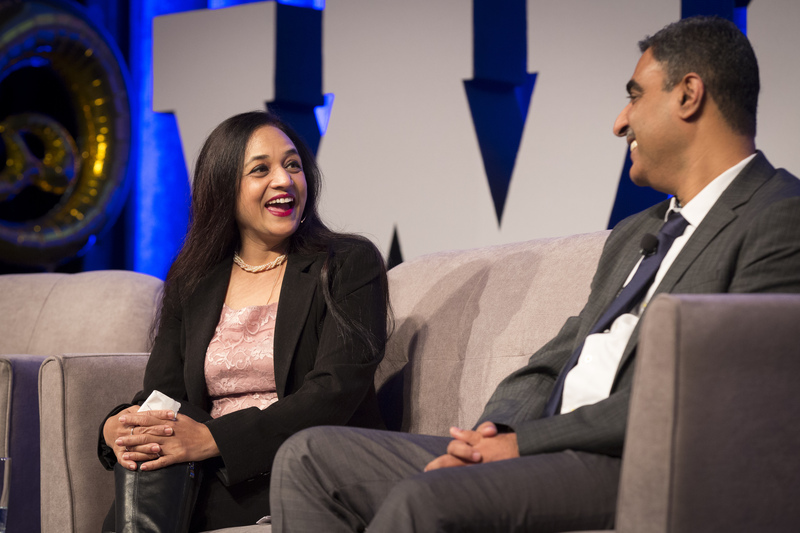 That’s what over 800 business leaders came to discuss at the 2019 Catalyst Awards Conference on March 14 at the New York Hilton Midtown. Catalyst Award-winning organizations, Supporters, diversity and inclusion experts, business leaders, and others gathered to share their visions and actions for building equitable, diverse, and inclusive workplaces where women can thrive. 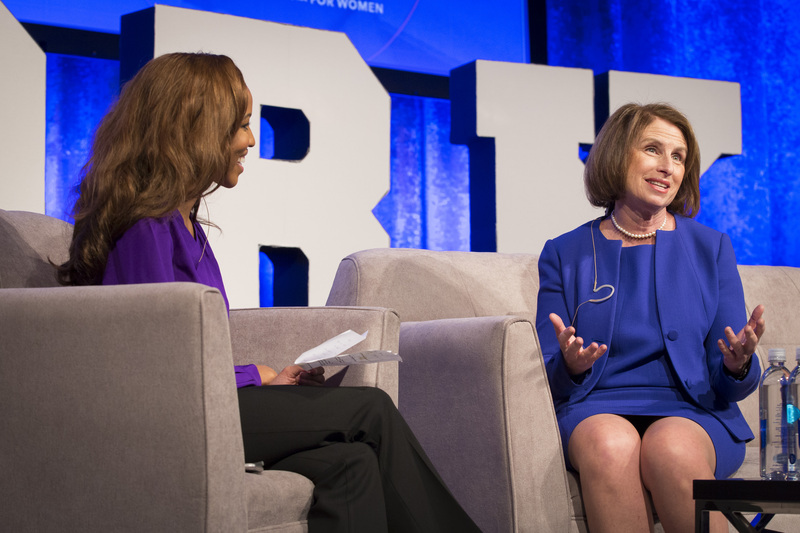 For more than 30 years, the Catalyst Award has recognized exceptional efforts that help advance women in business. 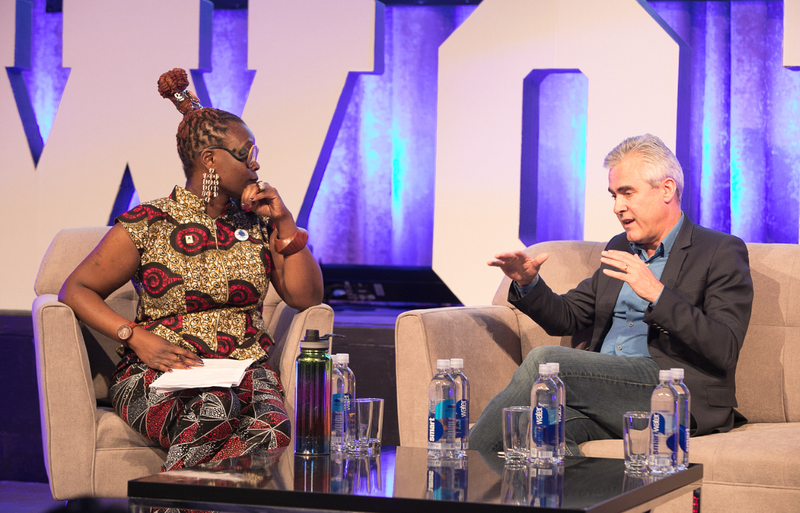 Over the years, the Catalyst Awards Conference and Dinner have brought together experts from around the world to share knowledge and shape the dialogue about inclusive leadership and other critical factors related to women and workplaces around the globe. 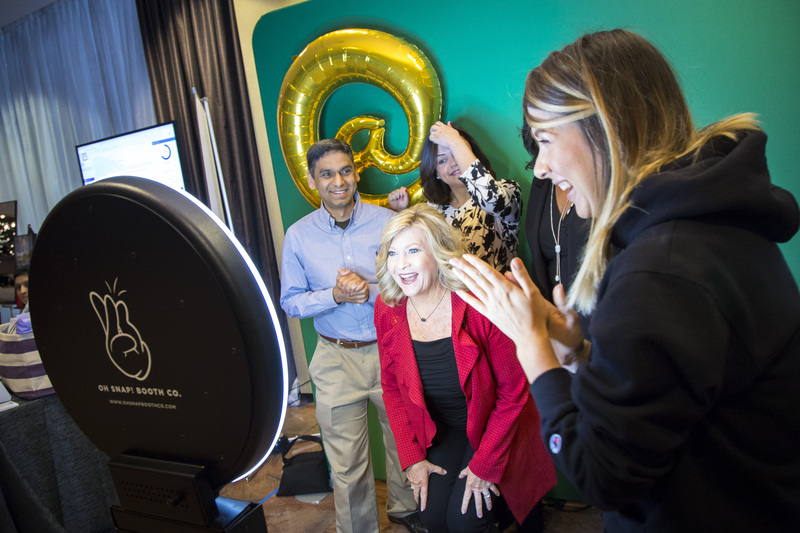 Catalyst President & CEO Lorraine Hariton, a former Silicon Valley executive, kicked off her first Catalyst Awards by laying the foundation for the day. CNN International’s Zain Asher interviews Catalyst President & CEO, Lorraine Hariton. “With new technologies coming into the workplace, it’s critical teams are thinking about diversity and inclusion to ensure we don’t bake bias into products,” she said in a Q&A with CNN International’s Zain Asher. It was live-streamed on Facebook. This year Catalyst tried something different, giving leaders from each Catalyst Award-winning organization their own hosted session. At the [email protected] Hackathon, attendees broke into smaller groups to dig into trends, including Harnessing Technology Takes a Human Touch; Recognizing and Valuing Employees’ Intersecting Identities; and the Benefits of a Geographically Dispersed Virtual Workforce. 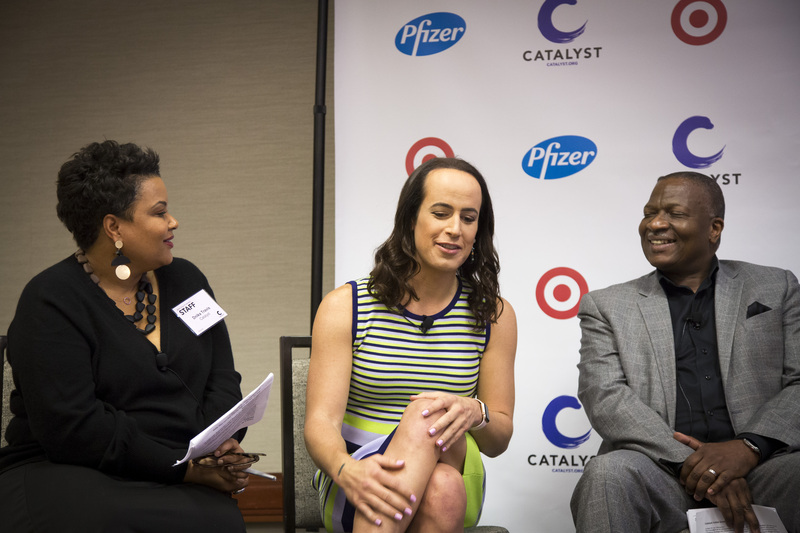 Founder & CEO of Translator LLC, Natalie Egan, (center) discusses coming out with Catalyst’s Vice President, Research, Dnika Travis (left) and Brian K. Reaves, Chief Diversity & Inclusion Officer, Dell. During the Busting Myths and Bias in the Multigenerational Workplace session, Edmond Hughes, Ingalls Shipbuilding Vice President, Human Resources & Administration, stressed the need for all employees, of all generations, to be seen and valued. “We all have a responsibility to ensure the least empowered person in the room is heard,” he said. 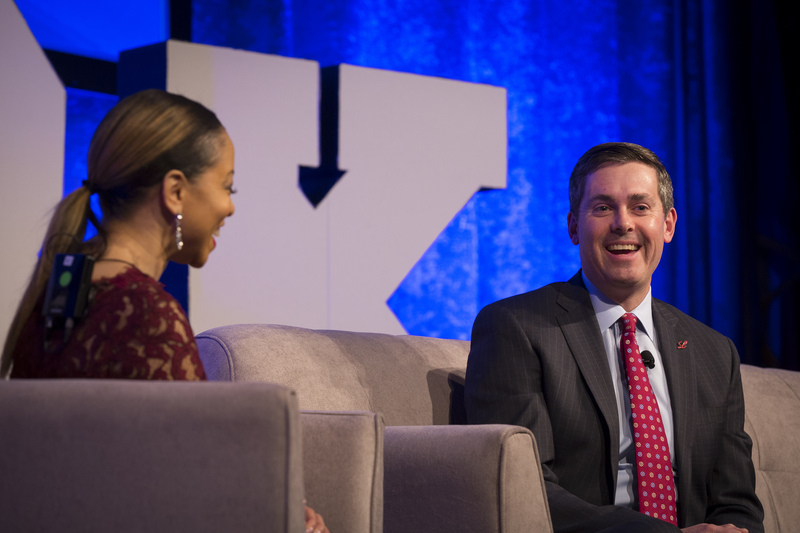 Target’s Chief Diversity and Inclusion Officer, Caroline Wanga, and Chief Information Officer Mike McNamara. Throughout the day, attendees were able to stroll through our [email protected] Hall to learn about tech startups that are using AI and other technologies to tackle unconscious bias, as well as more than a dozen other diversity and inclusion organizations. 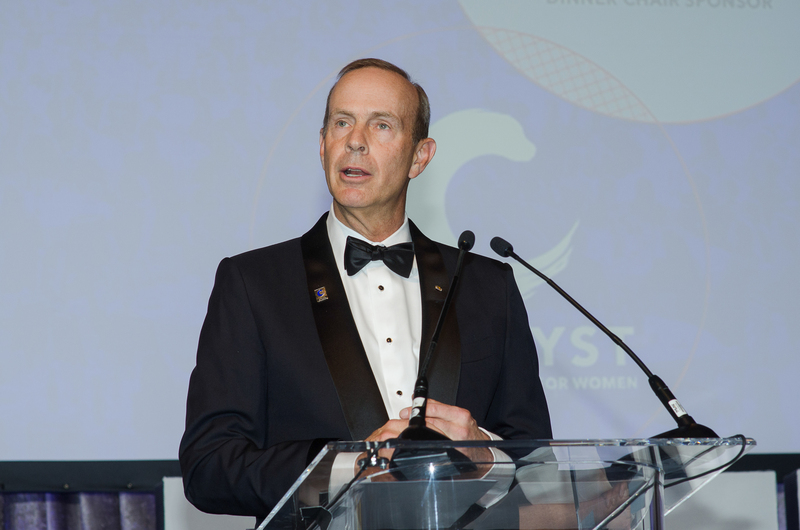 The day was capped with a gala dinner chaired by Chevron Corporation Chairman & CEO Michael K. Wirth. The evening featured speeches from the leaders of the award-winning companies, Bank of America Chairman and CEO Brian T. Moynihan; Deutsche Post DHL CEO Frank Appel; Eli Lilly CEO David A. Ricks; and Schneider Electric India Hub Managing Director & Vice President, Process Automation Rajat Kishore. In a highlight of the evening, Catalyst President and CEO, Lorraine Hariton, urged the corporate leaders in attendance to use the power of their community to demonstrate what a safe and inclusive environment looks and feels like. Catalyst President and CEO, Lorraine Hariton. “People are distrustful of so many institutions, but they trust their employer, and they expect them to comment on social issues,” she told the crowd. “By instituting policies and programs that support diversity and inclusion and by role modeling the right behaviors, you are influencing millions of people around the world.” You can watch her speech and read the full transcript. The 2020 Catalyst Awards Conference and Dinner will be held March 12, 2020. 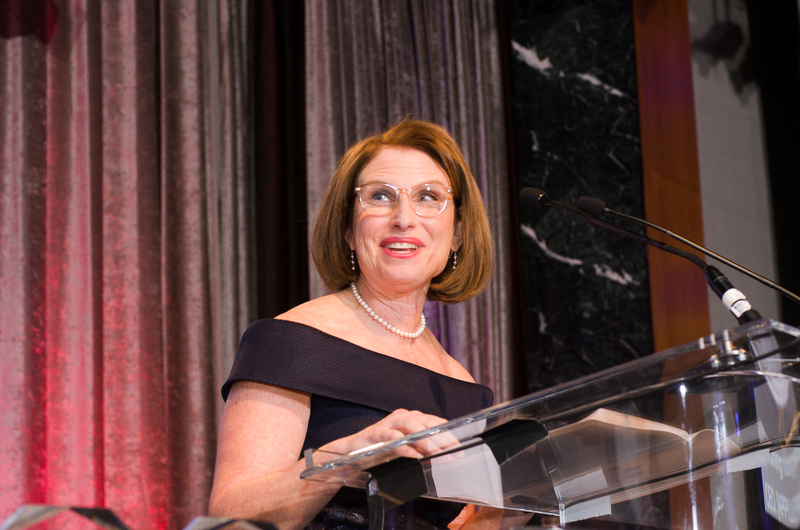 Read and watch Lorraine Hariton's speech at the 2019 Catalyst Awards Dinner in Midtown, New York on March 14.